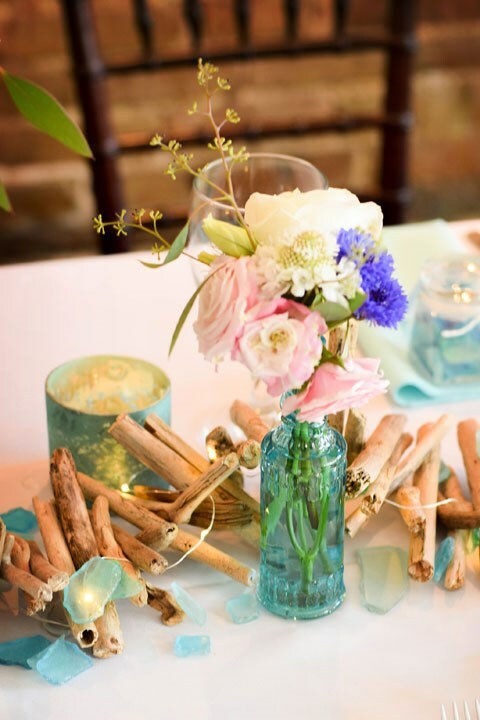 At Honeysuckle Events, we believe that what elevates a wedding isn’t the height of your centerpieces or the number of tiers on your cake, but the infusion of your personalities into every aspect of your day. As a boutique planning firm, we accept a limited number of weddings each month to make sure you have our undivided attention as your big day approaches. We offer both full and partial wedding planning, along with wedding day management (often called month-of coordination) and a range of add-on à la carte services to fill in any gaps. Check out what each encompasses, then give us a call to talk about custom-tailoring an option that covers everything you need and nothing you don’t. general planning & support: We love taking the time to really get to know our clients! After booking, we’ll have a get-to-know-you meeting (­ideally with a cup of coffee or glass of wine in hand) or phone conference to learn more about both of you and discuss all aspects of your wedding. This meeting is the foundation of all the work we’ll do together. Throughout the planning process, we’ll be available by phone and email during regular business hours (8 a.m. to 4:30 p.m. Tuesday through Friday) to ensure all of your questions are answered. During the work week, you can expect a response within 24 to 48 hours. Beginning two weeks before your wedding, we’ll be available for questions via text (as well as by phone and email) between the hours of 8 a.m. and 8 p.m. You can expect a response time of an hour or two at this point. online planning portal: As a client of Honeysuckle Events, you’ll have 24/7 access to a robust online planning portal that features personalized planning checklists, timelines, budget tracking, guest list management, inspiration photos, a place to keep meeting notes and vendor contracts, wedding website functionality, and other tools to help you throughout the planning process. budget projection & management: Based on our get-to-know-you meeting and your estimated budget, we’ll project a detailed budget for your wedding day. After reviewing the projection together and reaching an agreement on the overall wedding estimate, we’ll keep track of vendor payments, send reminders when payments are due, and update the budget throughout the planning process. 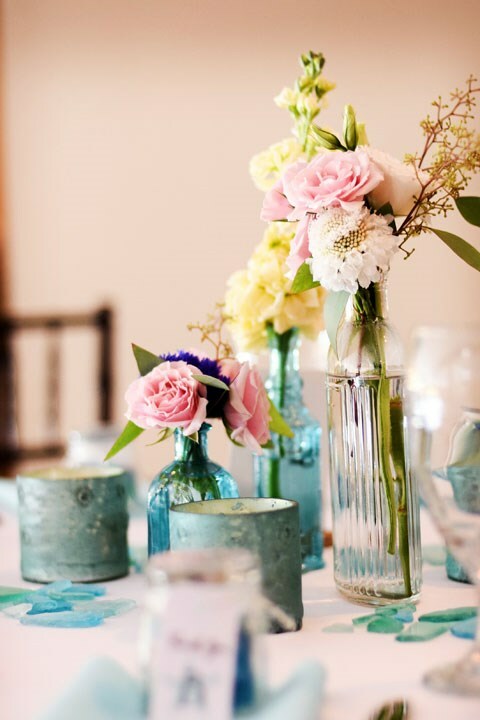 event styling & design: We’ll review all your ideas with you to understand what makes your eyes light up, sharing feedback and ideas on your color palette, décor, and the personal touches you want to incorporate. Then we’ll identify the common threads and weave them together into a beautiful, cohesive design, presented as a custom inspiration board we’ll use throughout the planning process to help guide decisions on décor, flowers, linens and other rentals, stationery, and cake design. personal touches: There’s nothing we love more than helping our couples tell their unique stories, infusing every aspect of their celebrations with personal details. We’ve got lots of ideas and resources to help you with every choice you make, whether we’re talking about color palette and overall décor, favors and guest book alternatives, or menu selections and signature cocktails. venue selection: We’ll recommend up to 5 venues that fit your style, location, and budget, and help you narrow down options before scheduling and attending up to 3 venue tours. During each tour, we’ll ask relevant questions about the venue and take detailed notes; at your direction, we’ll then request quotes from your finalists. After you’ve made your selection, we’ll work with the venue to finalize the contract for your signature, reviewing it first to confirm correct date, time, agreed-upon rules, and price. We’ll continue to coordinate with your venue/s throughout the planning process to manage details. vendor selections & management: We have lots of resources and recommendations for everything you could possibly need for your wedding day, but you'll always make the final choice of wedding vendors and details. You’ll sign contracts directly with each vendor you choose. After completing the consultations in each category, we’ll request detailed quotes from your finalists and review all proposals with you to share feedback and advice. Throughout the planning process, we’ll work with each member of your chosen vendor team to coordinate logistics and manage the details. Of course, this means different things for different vendors: assisting with menu selection, for example, or updating and finalizing rental orders, providing design guidance and proofreading support for stationery needs, scheduling a trial run with your beauty professionals, negotiating special rates for room blocks, suggesting resources for ceremony readings, etc. attire: We’ll provide you with a list of online resources as well as our recommended shops where you can schedule and attend appointments on your own. guest lodging: We’ll recommend 3-6 lodging options for your wedding guests and inquire about special room rates for the wedding weekend. After you evaluate the options and decide which to recommend for your guests, we’ll work with the selected properties to obtain the contracts for special group rates or contracted room blocks. We’ll review the contracts to confirm correct dates and rates, forward them to you for signature, and assist with any questions that arise throughout the planning process. wedding day management: All the services outlined in our Wedding Day Management plan are included in Full Wedding Planning: creating detailed timelines, scheduling and attending the final walk-through meeting at your reception venue, confirming final details with all vendors, running your ceremony rehearsal, and coordinating every aspect of your wedding day so you can relax and enjoy every minute. Please see the breakdown of our Wedding Day Management service below for complete details. 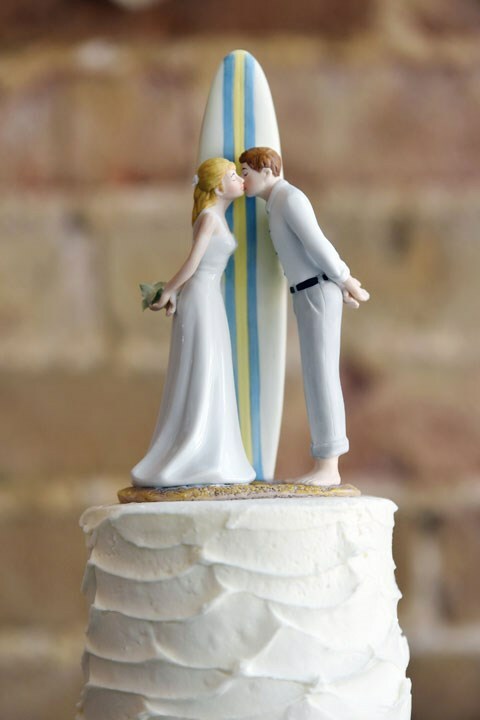 Full Wedding Planning starts at $4,595, and may vary ­according to guest count, venue/s, and logistics. Partial Wedding Planning lets you draw on expert guidance where you need it while assuming more of the hands-on tasks yourself. This service includes everything in our Wedding Day ­Management plan (see below), as well as access to our online planning portal, design and décor guidance, vendor contract review, and 10 additional hours of professional planning assistance to be used any way you want during the planning process. 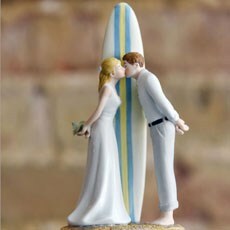 Depending on our availability, more hours may be added as needed up until 30 days prior to your wedding. online planning portal: As with Full Wedding Planning, you’ll have 24/7 access to a robust online planning portal that features personalized planning checklists, timelines, budget tracking, guest list management, inspiration photos, a place to keep meeting notes and vendor contracts, wedding website functionality, and other tools to help you throughout the planning process. 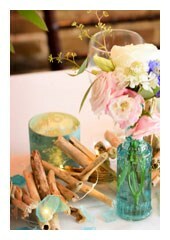 event styling & design: Have we mentioned how much we love the story-telling process? Once we learn what makes your socks go up and down, we’ll work with you to create a shared Pinterest inspiration board to establish your overall event style, and share feedback and ideas on your color palette, décor, and personal touches. We’ll use this board throughout the planning process to help guide decisions on flowers, linens, rentals, décor, stationery, and cake design. floral & rental consultations: Because both your floral design and the rentals you select are such key parts of your overall event styling and design, we’ll attend and actively participate in both of these consultations, offering design guidance and feedback on available options. vendor proposal & contract review: As you obtain proposals from each vendor, we’ll review them to ensure that you’re able to compare apples to apples. Once you’ve made your selections and have the contracts in hand, we’ll review those as well to double-check the date, time, service details, and pricing before returning them to you for your signature. 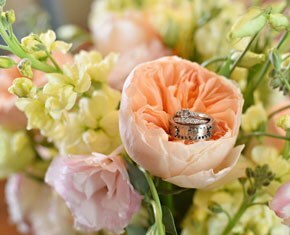 Of course, we'll incorporate all relevant details into your wedding-day timeline. If your needs exceed what you expected at time of booking, more hours may be added up until 30 days prior to your wedding (depending on our calendar and availability at that time). email & phone support: Email and phone support are available during regular business hours (8 a.m. to 4:30 p.m. Tuesday through Friday) throughout the planning process to answer wedding-related questions. Phone calls over 15 minutes and emails that require a detailed response will be counted toward your planning hours. During the work week, you can expect a response from us within 24 to 48 hours. last-minute support: Beginning one week prior to your wedding, we’ll be available for questions via text (as well as by phone and email) between the hours of 8 a.m. and 8 p.m. You can expect a response time of an hour ot two at this point. wedding day management: All the services outlined in our Wedding Day Management plan are included in Partial Wedding Planning: recommending vendors, creating detailed timelines, scheduling and attending the final walk-through meeting at your reception venue, confirming final details with all vendors, running your ceremony rehearsal, and coordinating every aspect of your wedding day. Please see the breakdown of our Wedding Day Management service below for complete details. Partial Wedding Planning starts at $2,895, and may vary ­according to specific services needed, as well as guest count, venue/s, and logistics. Let us give you a custom quote if your needs exceed what can be accommodated in the 10 hours included in the base package. recommended vendor list: We’ll give you a list of 2 or 3 of our favorite event pro­fessionals in each vendor category. We love working with these pros, and we encourage you to meet with them when choosing your vendor team. email support: We’ll be available to answer wedding-­related questions that don't require research by email during regular business hours (8 a.m. to 4:30 p.m. Tuesday-Friday). During the work week, you can expect a response from us within 48 to 72 hours. online planning portal: Like all Honeysuckle clients, you’ll have 24/7 access to our online planning portal, featuring a detailed planning checklist, timeline, budget tracking, guest list management, inspiration photos, a place to keep meeting notes and vendor contracts, wedding website functionality, and other tools to help you throughout the planning process. 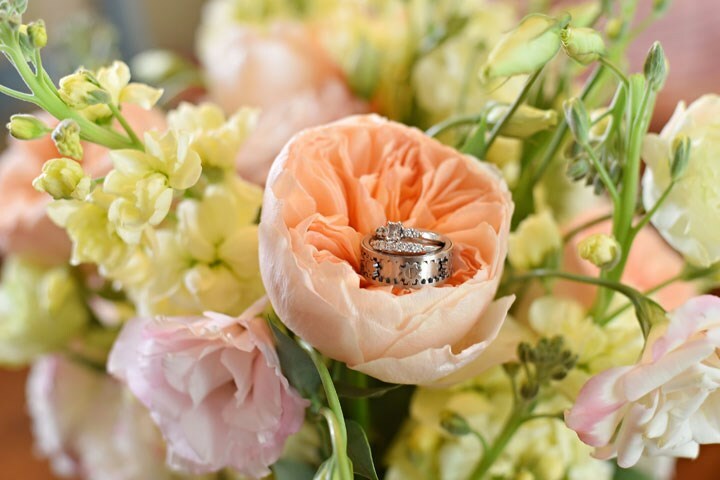 details meeting: We’ll schedule a two-hour meeting to review wedding-day details, talk through the timing, and review the services that will be provided by your contracted event professionals. This meeting takes place 45-60 days before your wedding day. first draft of the wedding-day schedule: After our meeting, we’ll draft a detailed timeline for the wedding ceremony and reception, along with our “setup” checklist covering all the wedding décor and details we’re responsible for. contact list: We’ll compile a list of all your contracted wedding professionals with their contact information. phone support: At this point, we’ll be available to answer wedding-­related questions by both phone and email during regular business hours (8 a.m. to 4:30 p.m. Tuesday-Friday). During the work week, you can expect a response from us within 24 to 48 hours. final walk-through: We’ll work with you and your reception venue to schedule and attend a final walk-through meeting at the venue to finalize the timeline, setup details, logistics, and layout. final timeline: After the walk-through, we’ll finalize the timeline and distribute it to your entire team of event professionals. final vendor confirmations: We’ll confirm timing and all logistical details with each event professional you’ve booked, communicating set-up logistics for the wedding day, load-in and load-out instructions, and delivery and tear-down times. last-minute support: Beginning three days prior to your wedding, we’ll be available for questions via text (as well as by phone and email) between the hours of 8 a.m. and 8 p.m. You can expect a response time of an hour or two at this point. wedding rehearsal coordination: We’ll schedule and attend a one-hour wedding rehearsal and work with your officiant to rehearse the processional, ceremony outline, and recessional. We’ll also review the wedding-day arrival time and locations with the bridal party. distribution of final payments: If you’d like to have us distribute final payments and gratuities to your wedding vendors on the wedding day, these can be provided in sealed and labeled envelopes. collection of small décor items: If your wedding venue doesn’t have storage capability, you may bring up to 4 medium-size boxes (no larger than 18x18x18”) of small items — guest book, favors, table numbers, décor items, etc. — to the rehearsal so that we can take them with us and bring them back to the venue on the wedding day. on-site time: Your Honeysuckle team (typically, lead planner plus two associates for full-planning clients and lead plus one for partial-planning and wedding-management clients) will be on site for up to 10 hours. Throughout the day, we’ll use the timeline to ensure that the day flows smoothly for you, your guests, and your vendor team. client concierge: We’ll check in with you and your fiancé throughout the day to be sure your needs are met, your questions are answered, and the day is unfolding exactly as you dreamed it would. setup supervision: We’ll supervise the ceremony and reception load-in and setup with your vendor team, and set up small décor items and details. ceremony coordination: We’ll make sure everyone knows their spot in the wedding processional, cue the ceremony musicians, and manage the processional itself. 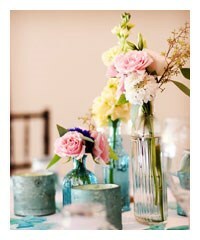 After the ceremony, we’ll move small décor items to the reception location as needed. reception coordination: During the reception, we’ll work closely with your vendor team to coordinate announcements, tweak the timeline as needed, and ensure a smooth, relaxed flow for you and your guests throughout the reception. This includes coordinating the grand entrance, first dance, parent dances, toasts, and last dance — and delaying the cake-cutting if we see that Grandma’s finally on the dance floor. vendor team lead: We’ll be the point of contact for your team of wedding professionals throughout the wedding day. Using the timeline we developed together, we’ll answer questions, put out any fires, and use our best efforts to stay on schedule throughout the day. We’ll also work with the catering staff to coordinate vendor meals. guest assistance: We’ll help guests with any questions that arise throughout the day. As needed, we’ll work with the catering or venue staff to direct guests from the ceremony to the cocktail hour location and then to the reception location. guest transportation assistance: We’ll help coordinate the timing and communication of details for guest shuttles and wedding party transportation on your wedding day, using phone calls and text messaging to manage communication with transportation vendors at other locations. If you need a planner or assistant to be on-site at another location to manage transportation, we may be able to arrange for additional assistants, extra planning hours, or added services. breakdown supervision: We’ll oversee the breakdown of your reception venue, including organizing rentals for pickup and collecting and stowing personal items. emergency kit: We’ll have an extensive wedding-day emergency kit on-site, including bandages, safety pins, hair spray, wet wipes, scissors, tape, mints, a sewing kit, phone chargers and many other necessities. A complete list will be provided at your “details” meeting. Wedding Day Management starts at $1,695, and may vary ­according to guest count, venue/s, and logistics. Give yourself time — and permission — to focus on enjoying your engagement by handing off some of the nitty-gritty details to us, regardless of the package you choose! hourly concierge assistance: Stressed out by your to-do list? For those weeks when you need an extra hand with wedding-related tasks, we offer hourly concierge assistance. We'll run errands, assist with crafts and DIY projects, and provide administrative help. Service is based on our availability and must be scheduled at least one week in advance. attire shopping & fashion consulting: Not sure you want to handle wedding gown shopping or ­fashion coordination on your own? We'll schedule and attend bridal gown and menswear appointments, attend shopping excursions with your bridal party, make recommendations for accessories, and offer fashion and style advice. invitation assembly, stamping, & mailing: No time (or energy) to deal with your wedding invitations? We'll take all that off your hands, assembling, stamping, and mailing invitations for you while you take care of other things — including yourself! If you choose to hire a calligrapher, we’ll coordinate the logistics of getting the invitation envelopes to her for addressing. We'll even take a completed invitation to the post office to determine the correct postage needed. rsvp management: Being driven crazy by your guest list? Have your RSVP cards mailed directly to us to eliminate the hassle of keeping track of who is and isn’t attending, how many guests they’re bringing, and what entrée choices they’ve made. We’ll manage all that for you, with weekly updates as your RSVP date gets closer. Once the date has passed, we’ll let you know who hasn’t responded, update the list again and share the final count with all relevant wedding professionals. welcome bags: Want to make sure your guests feel the love? We’d love to help source the packaging and contents for beautifully put-together welcome bags, and we'll even deliver them to your designated hotels. party & social event planning: Overwhelmed by the planning and design for your rehearsal dinner, bachelor and bachelorette parties, wedding showers, welcome receptions, brunches, and guest activities for the wedding week? Let us help! From vendor recommendations and theme development to event design and on-site coordination, we can create the perfect party to complement your wedding day celebration. Pricing for each à la carte service is custom-quoted based on your specific needs. can't wait to get started? neither can we! We’re dying to hear more about you, your fiancé, and your plans, so call (910.599.2589) or email today to set up your free initial consultation. Together, we’ll figure out how to custom-tailor a package that addresses your needs exactly. Get the peace of mind that comes from making a smart investment, and get back to enjoying this special time in your lives!